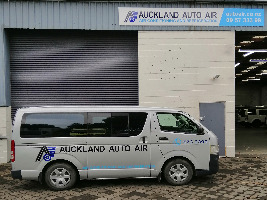 We are a major JAYAIR distributor in New Zealand & source many other parts from around the world. For all types of Compressors, Condensers, Evaporators, Receiver Driers, TX valves, Thermostats, Fans & Blowers, R134a & oil, Tools & more. Brands we carry are Jayair, Sanden, Denso, Spal, Valeo & many more. Browse our PARTS site, if you don't find what you need, Contact us to see what we have in stock. We welcome the opportunity to assist and advise you with respect to all your purchases, large or small.